The first of a three course series, Introduction to Woodworking, introduces students to basic woodworking techniques and assists them in completing weekly practice projects. 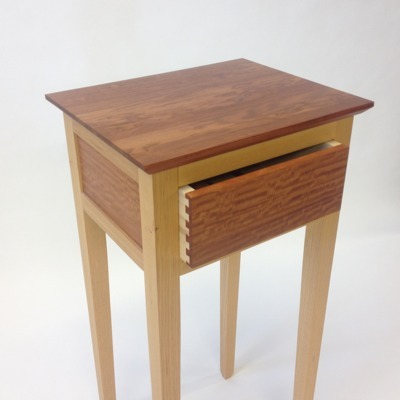 The second of a three course series, Methods of Mortise and tenon Joinery, guides students through the construction of an end table using a variety of basic furniture making methods. 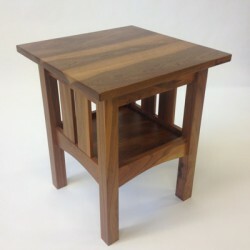 The third and final course of a three course series, Techniques of Matching Wood, introduces students to more advanced furniture making methods and culminates with the building of an entryway table. Graduates of the three part introductory series (101, 102 & 103) are allow to continue growing their skills by pursuing projects of their own choice/design and also participate in advanced projects. 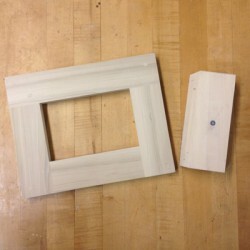 Introduction to cabinet making takes the student through the steps of designing and making a basic cabinet from plywood. 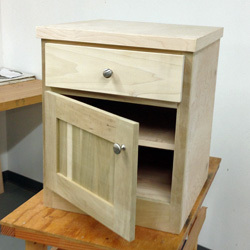 The student will complete a small cabinet with a drawer and a door, using the same techniques that would be used to build kitchen face-frame cabinets or bathroom vanities. 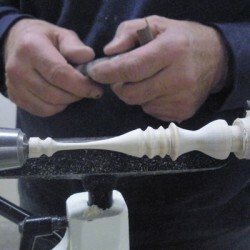 In this class you will learn about the lathe, its accessories, and the tools used to shape wood. Students will watch demonstrations, then apply what they have learned to independant work overseen and guided by the instructor. 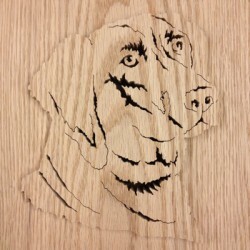 In this introductory class, students will learn about all the parts, features and functions of the scroll saw and how to safely use a scroll saw to make intricate curves and openings in wood. 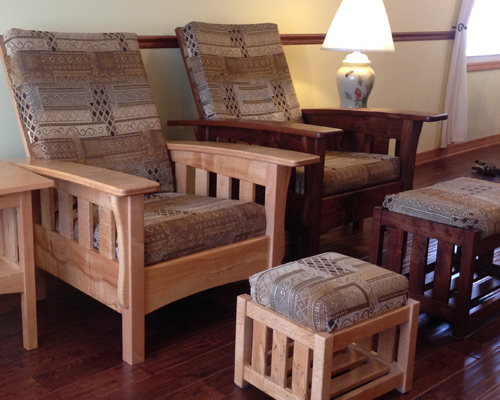 Add a decorative flair to your woodworking. 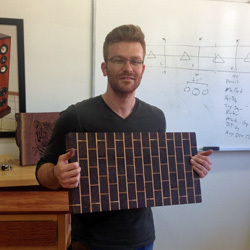 Betsy Pepper will teach you to make beautiful pictures from veneers of various colored woods. In week one, you will learn the essential scroll saw techniques. 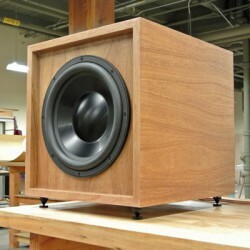 Students will learn the fundamentals of speaker theory, design, and construction. 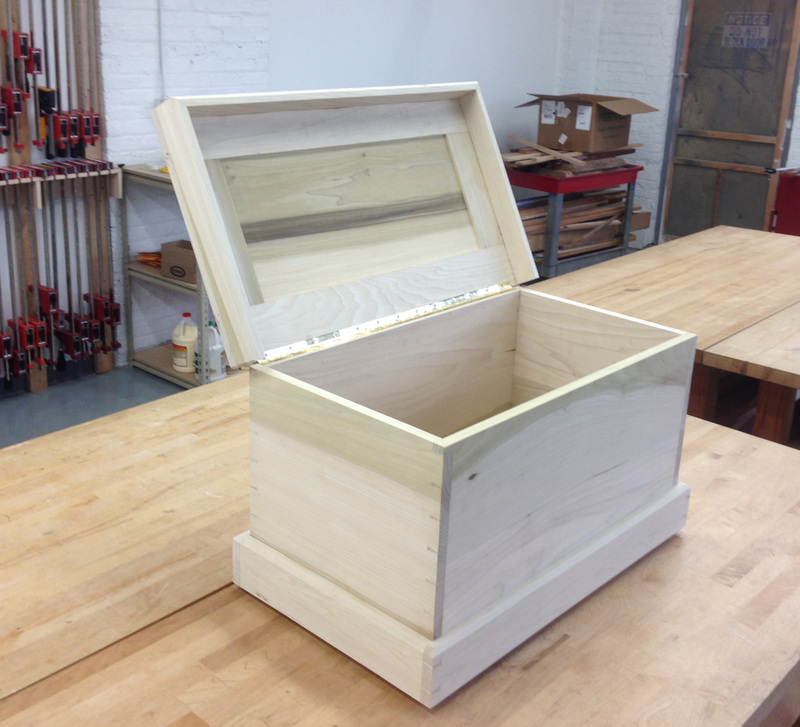 Basic woodworking, electrical wiring and soldering will be covered.